The President of the University Inspected the Progress of the final exams for students of the College of Business Informatics. 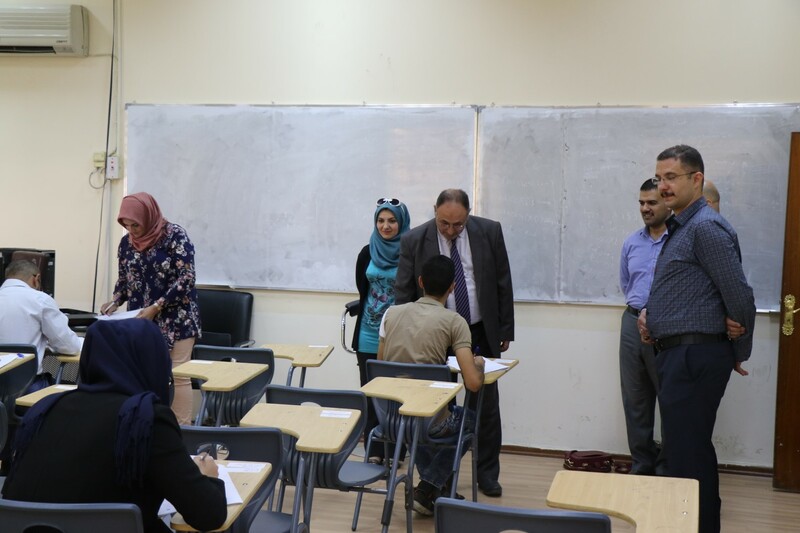 The President of the University Inspected the Progress of the final exams for students of the College of Business Informatics The President of the UoITC Prof. Dr. Abbas M. Al-Bakry did an inspection tour of the final examination halls for the academic year 2018-2019 for students of the Faculty of Business Informatics. During the inspection tour, the university president emphasized the need to provide students with the appropriate situations and to prepare all the requirements that lead to the success of the process of implementing the quarterly tests and completing them smoothly. The university president recommended the students to persevere and excel in their academic life and achieve success in the quarterly exams, which is an important step to progress to another stage. 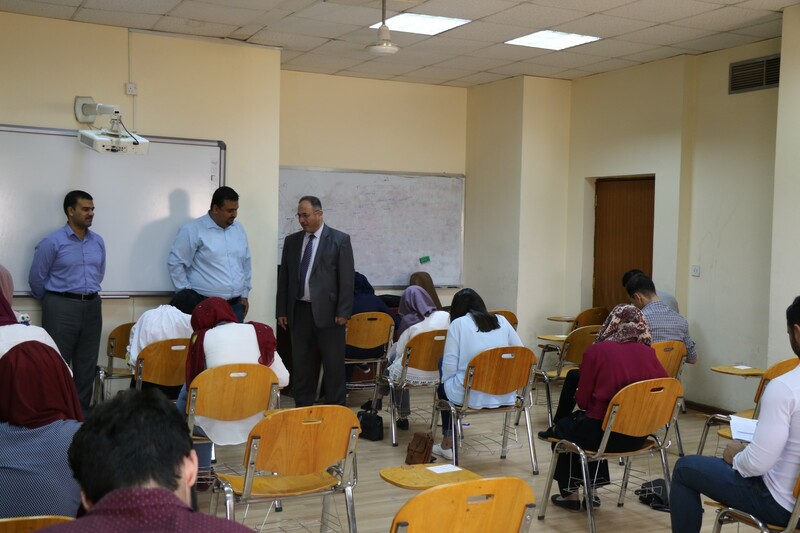 Dr. Bakry also pointed out during his tour, among other things, the commitment in the specific times of the exam and the necessity of clarifying the questions so that their answers are specific. He added that our university is specialized in the field of information technology and should be promoted as an important scientific edifice and the students are the main pillar and the development of their scientific capabilities are in the priorities of the university through these scientific tests.